The “Suits” star went to the Al Manaar community mosque in North Kensington, West London. She arrived without Prince Harry but she was accompanied by royal officers to keep her safe. A community member of Grenfell thinks that her visit means so much to us and the actress has a special place in their hearts. A royal source dishes the scoop that Prince Harry’s fiancee has regularly been making private visits to organizations while getting to know the charity sector. It is reported that her groom-to-be and future brother-in-law publicly visited the Al Manaar mosque in September to support victims of the June 14 blaze. The building was opened by their dad Charles in 2001. According to the chief executive Abdulrahman Sayed, there have been “three or four” royal visits since the two royal brothers’ trip. The British Queen also went there shortly after the fire. 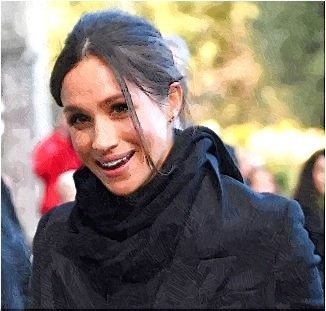 Meanwhile, Meghan is being complimented for showing her personality while carrying on to her new royal duties ahead of her royal marriage to Prince Harry on Saturday, May 19 at Windsor Castle.